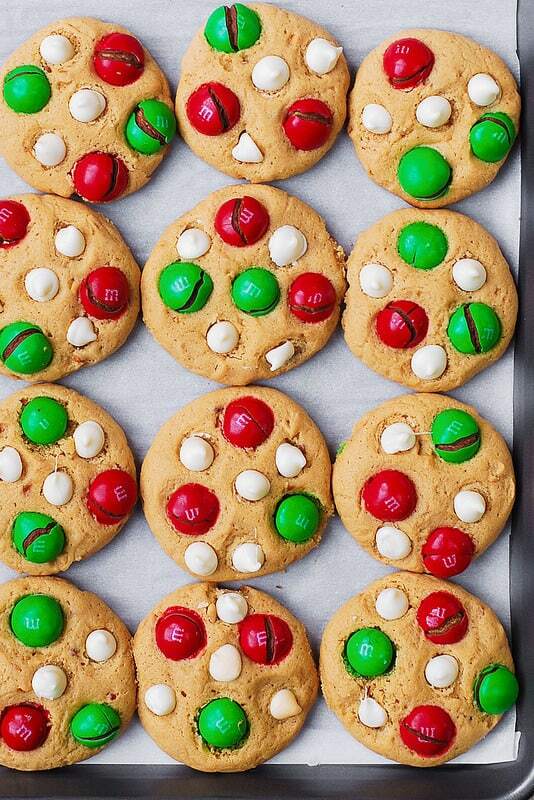 Santa’s Peanut Butter Cookies, topped with white chocolate chips and peanut butter M&M’s candy. 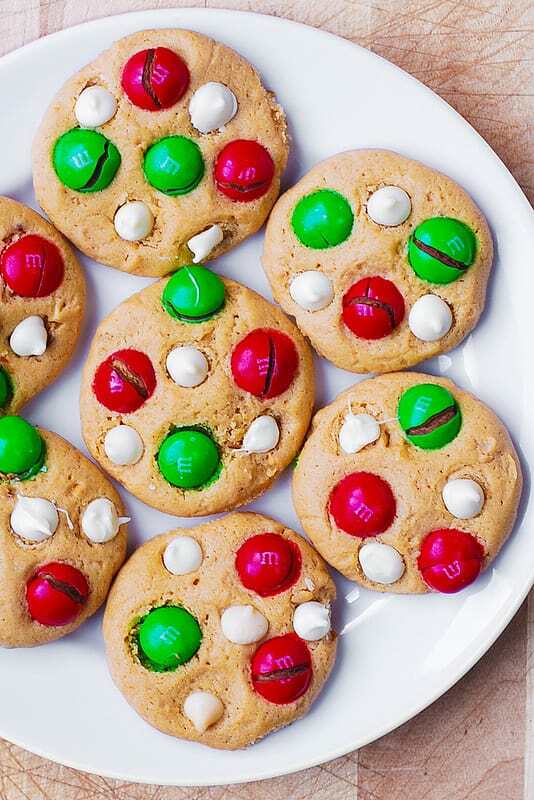 Fun and festive holiday cookies! 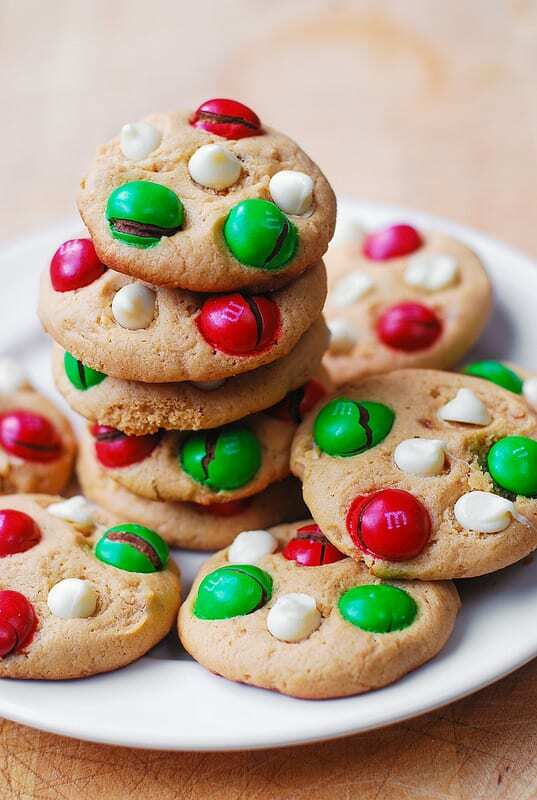 If you want to treat Santa Clause to some really delicious peanut butter cookies, try this recipe – it’s very easy! Bake for about 12 minutes. 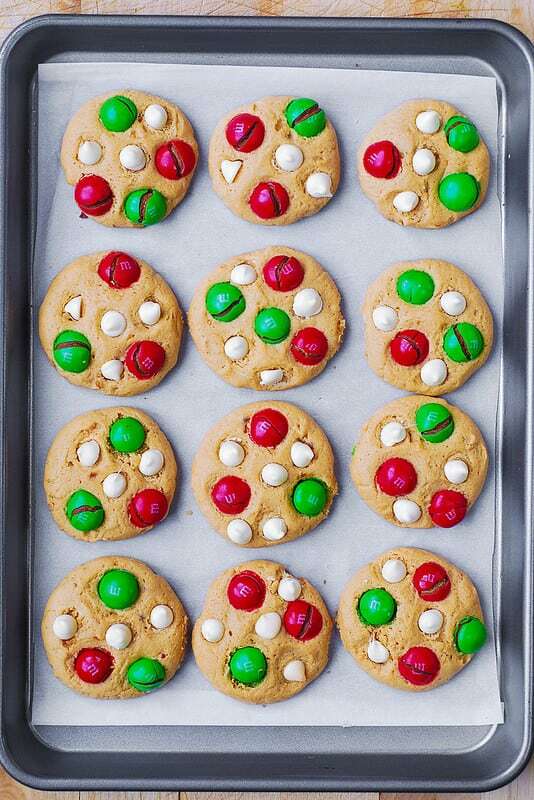 Let the cookies cool at least 10 minutes on baking sheet before transferring them to plate to cool completely. 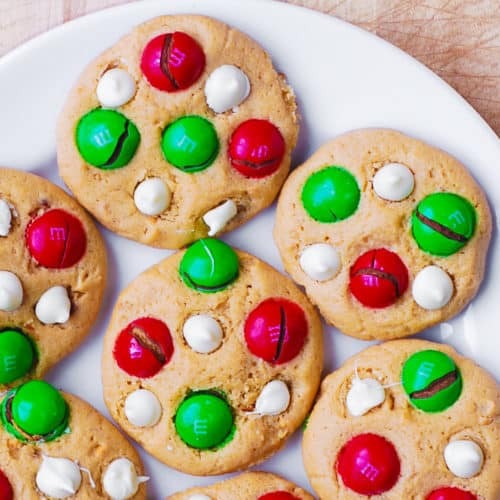 I hope you enjoy this easy recipe, and don’t forget to leave the milk and cookies for Santa on Christmas eve! 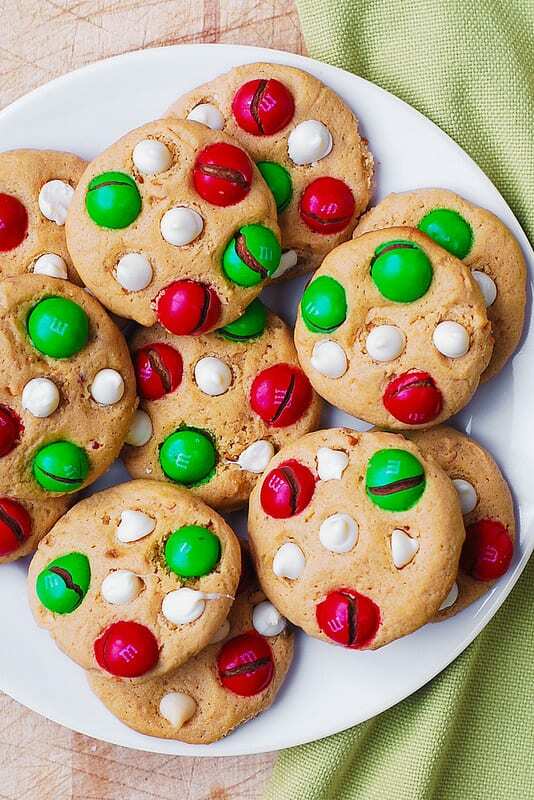 Perfect holiday cookies for Santa! 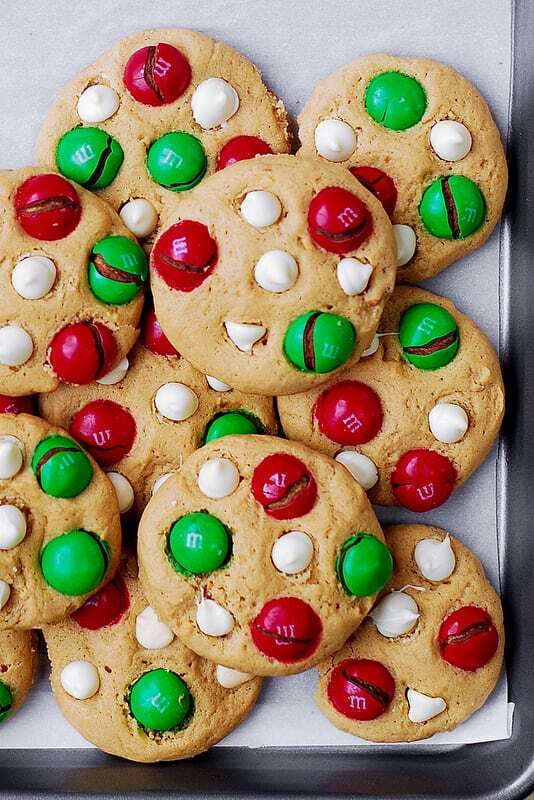 Peanut butter cookies with white chocolate and peanut butter M&M's candy! Using an electric mixer, cream peanut butter and butter in a mixing bowl until smooth, about 1 minute. Add brown sugar; beat until combined. Add an egg and vanilla, and continue beating until creamy. In a separate bowl, combine together flour and baking powder and mix. Gradually add dry ingredients to wet ingredients, using an electric mixer on low speed. 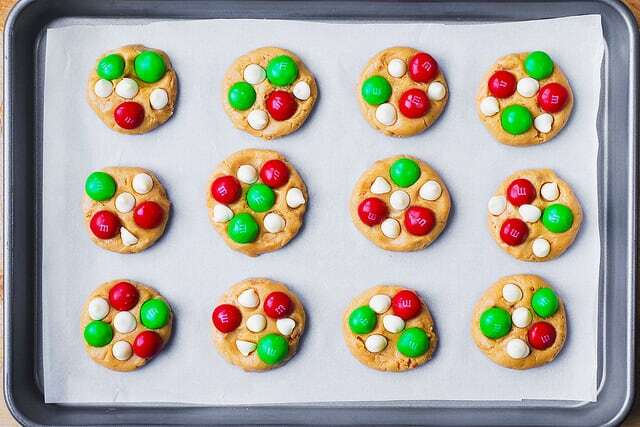 Prepare baking sheet by lining it with parchment paper. Roll about 2 tablespoons of cookie dough into a ball, rolling each ball between your hands. 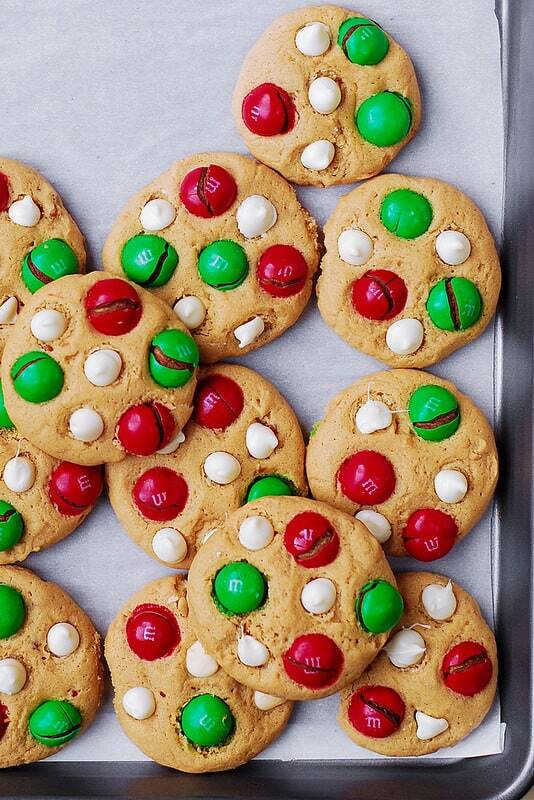 Place cookie balls 2 inches apart on a prepared baking sheet. 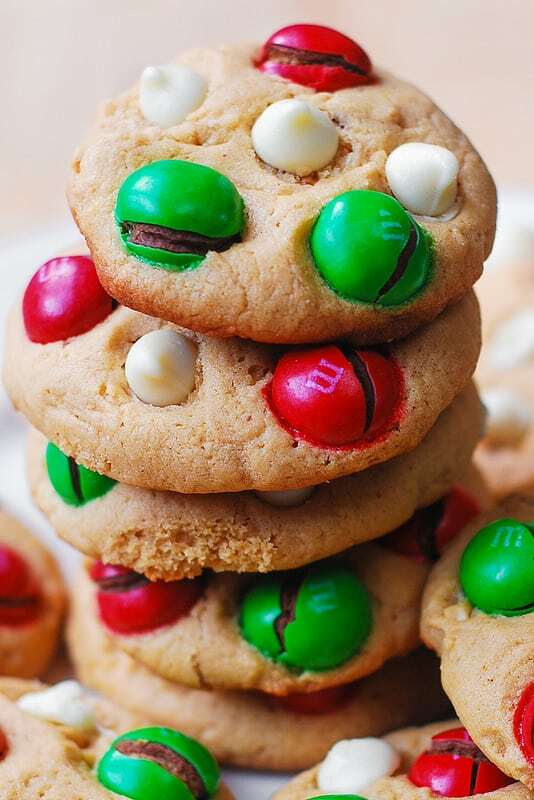 Press white chocolate chips and the M&Ms into the cookie dough balls, about 4 white chocolate chips and 3-4 peanut butter M&Ms per cookie, somewhat flattening the cookies. Bake for about 12 minutes. 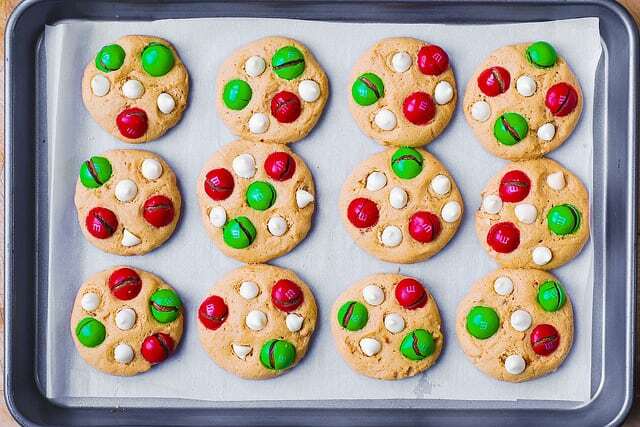 Remove from oven and let the cookies cool at least 10 minutes on baking sheet before transferring the cookies to rack or plate to cool completely.